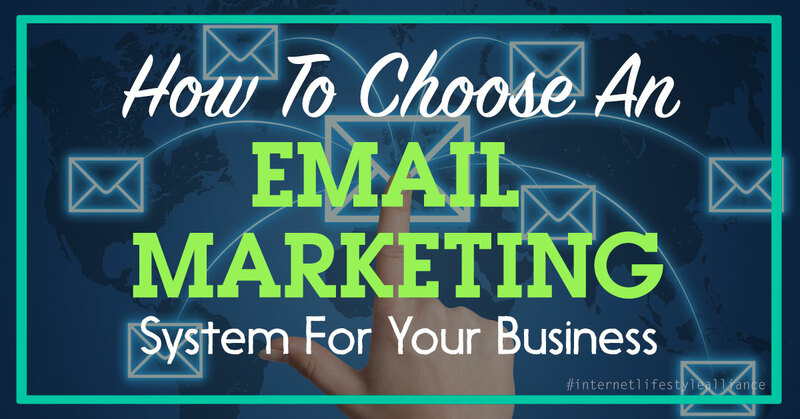 Are you confused on how to choose the right email marketing system for your business? Having been in the this industry for a while now, I have literally tried and tested a whole bunch of systems over the years and I wanted to share with you some basic concepts before you pick up any email marketing service provider out there. Why do you need an email marketing system for your business? If you’ve heard this quote before, you’ll know well that nobody every buys from you right on day one. People today are smarter than you may think and may do tons of research before they make that buying decision. An email marketing system actually helps you stay in touch, followup and convert that interested prospect into a paying customer. Every top marketer in the world will say the same thing. The money is in the list. The more you are able to build your email database, the higher the chance of you being able to monetise this list. People check emails mutiple times in a day and by having a solid email marketing system, you will have the opportunity to monetise in multiple ways. Email marketing is one of the best ways that you can followup and build a relationship with your readers. Once you’ve built that trust, people will actually start buying from you. Fundamentally, there are 3 types of email lists. Cold List – This is the kind of list there you would normally buy from some bulk email provider. Email open rates in such lists are only 1-2%. Warm List – A warm list is where people actually opt-in to your email system. It’s a permission based system. Email open rates in warm lists vary from 10% to even 30%, depending on your content, subject line and timing. Buyers List – This is the best type of list. A list where people have actually done some form of business with you. Email open rates in Buyers lists go even upto 70-80%. This is because these folks have done business with you and have that trust. By using a professional email marketing system, you will be able ot segregate the warm and buyers lists separately and communicate with them in an effective way. With a proper email marketing system, you’ll have the ability to correspond with your readers in multiple ways, to ultimately convert that lead into a sale. Automation & Intelligence. Example: RSS to Email, etc. Based on all the testing I’ve done over the years in various systems, my favourite email marketing system is GETRESPONSE. Did You Find This Info Useful? Share Your Comments Below, and Spread The Love On Social Media! After you recommending.. Getresponse. I have been using for building the list. It is indeed a great tool for list building,email marketing and Automation.